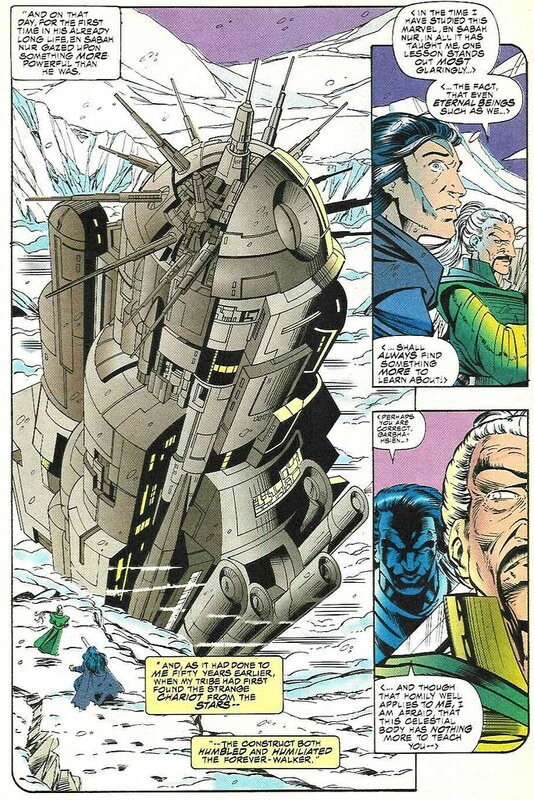 This was the ship that would later be known as "Ship," the headquarters of X-Factor. It was revealed to be left on Earth by the Celestials (Jack Kirby's technicolor giants) in X-FACTOR #45-50. 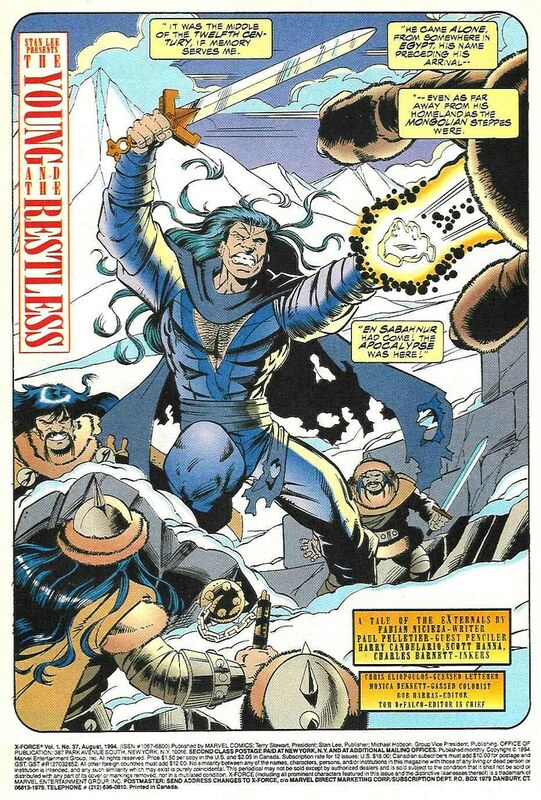 I have wondered if Apocalypse would be so dangerous without the Celestial technology he stole. 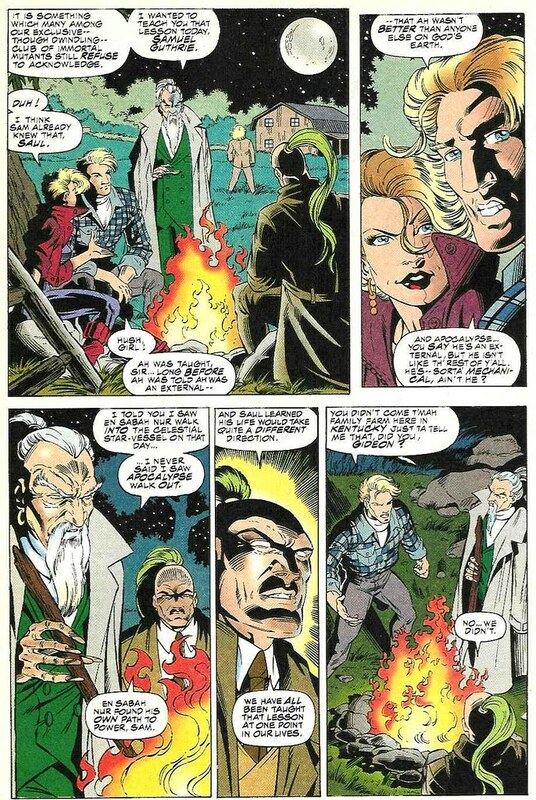 Of course, Apocalypse never really had the body count to be considered "genocidal" outside of alternate timelines. Yes, he *wants* to start a massive Social Darwinism campaign to kill millions, if not billions, but I don't think he's ever come close. 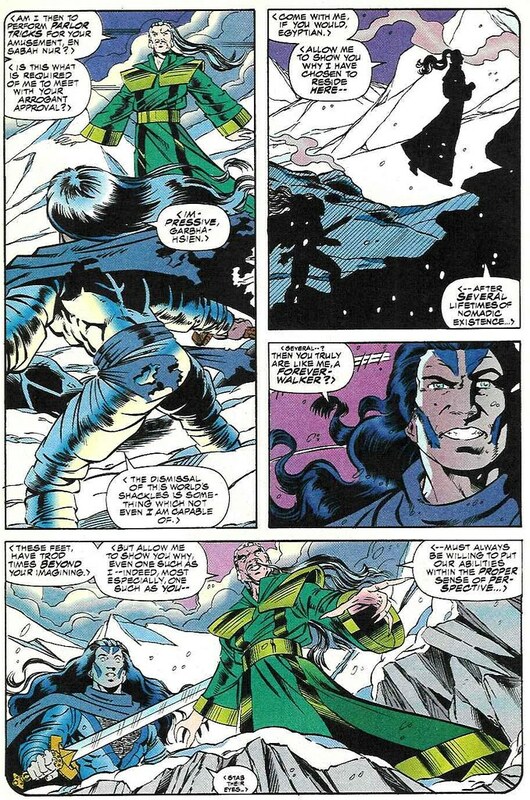 Almost all the Externals/High Lords were killed by Selene in X-FORCE a while later. 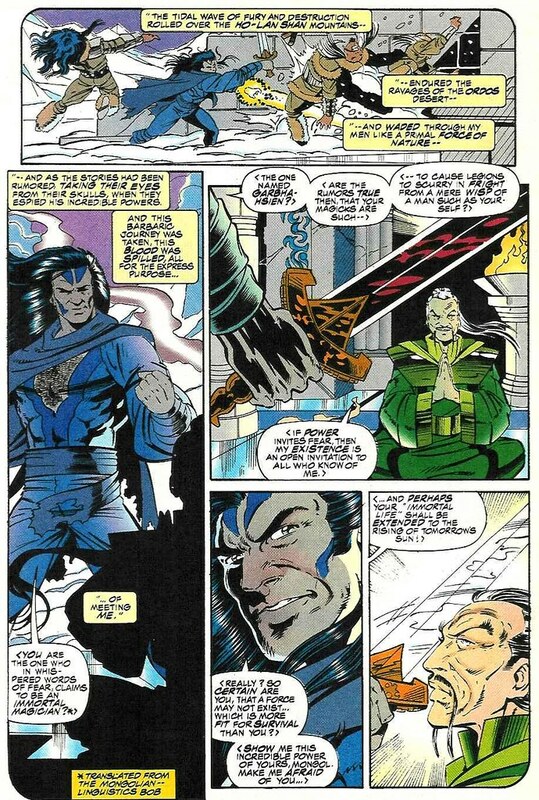 It wasn't because they were too similar to Highlander, but the editors just wanted to end a certain plotline. 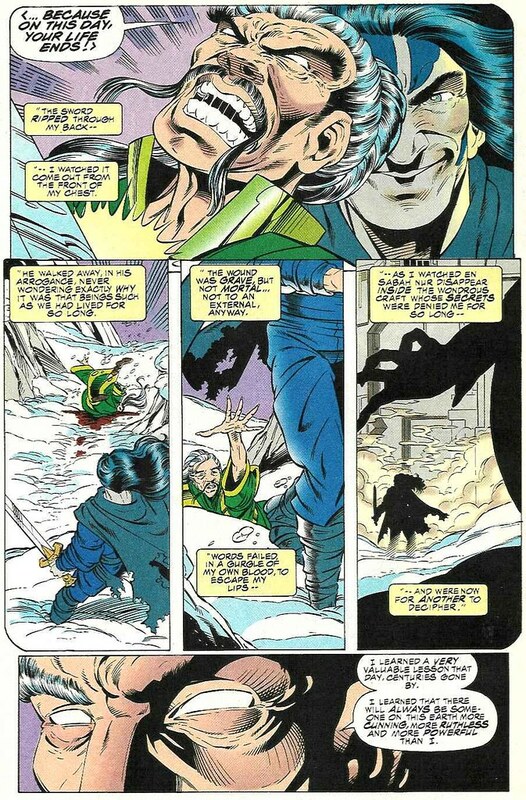 Oddly, they've never fully resolved "Is Cannonball immortal or not" as far as I know. "What's up with his lack of weird lips?" A ridiculous storyline from a ridiculous time. You want to talk ridiculous? I just realized that their name is a freaking pun.